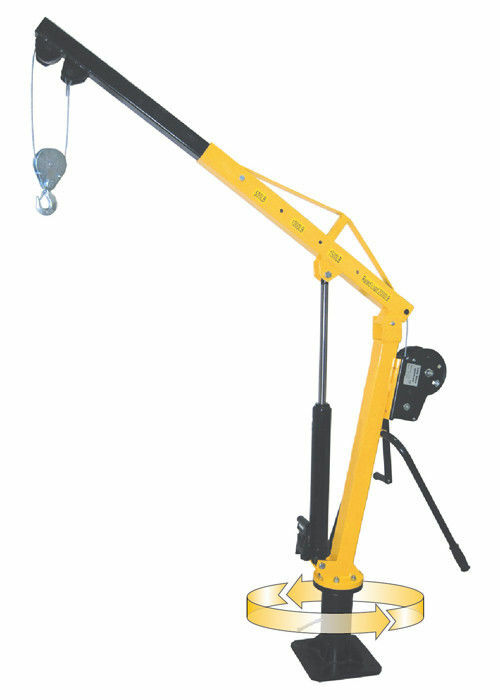 Vestil power lift jib crane is ideal for light-duty, intermittent use. Designed for material handling applications on docks, in warehouses or in truck beds. Features rotation hand brakes that offer unlimited 360° positioning. Compact structure, light weight, easy to install, light weight and takes up minimal spacemainly used in light duty trucks, vans, light trucks, heavy trucks, caravans, cars, loading dock, platform, supporting the use of emergency vehicles; vehicles can replace the small jib, bridges, warehouses and so on. Suitable for field where no power, compact, foldable, easy to install!